Although they have made Venom GT which once grab the title of the world fastest cars, but Hennessey, one of the American supercar builders seems not quickly satisfied. 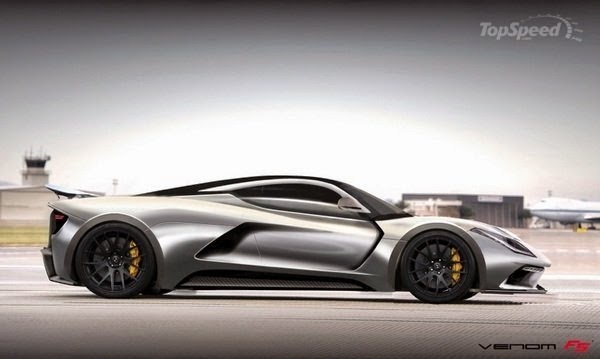 Now, Hennessey is preparing a new hypercar is able to penetrate the targeted speeds of up to 467 kph. As quoted from TopGear, on Tuesday, August 5, 2014, the previous speed record of Venom GT was successfully deposed by the Bugatti Veyron Super Sport. The French hypercar from Strasbourg was scored a new speed record i.e 431 kph. Apparently, this is become the main reason for Hennessey to create new hypercar. "I think it's possible to break through the range of speeds at 467 kph," said John Hennessey, the founder and CEO of Hennessey. 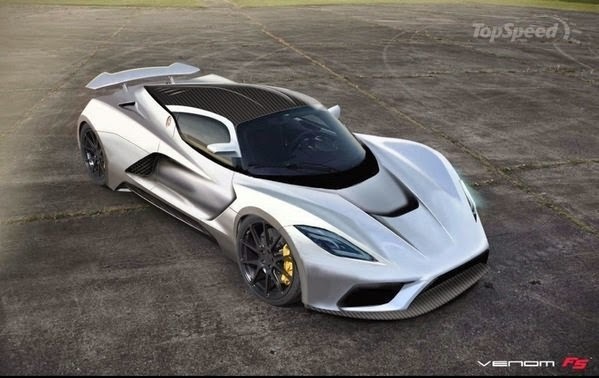 For their latest hypercar, Hennessey Venom will be dubbed with the name F5. These manufacturers feel confident if they would come back to beat the speed record belongs to the Bugatti Super Sport on the NASA's Kennedy Space Center runway. 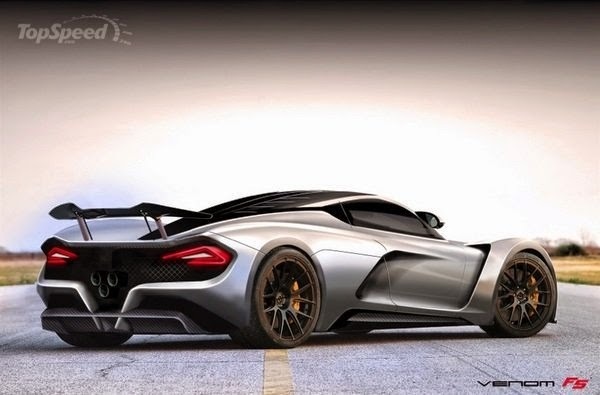 According to Hennessey, Venom F5 will carry a 7.0 liter, V8, twin turbo engine. The engine will be mated to a single-clutch paddle shift. It is estimated that the engine is capable of spewing power up to more than 1,400 hp.